Welcome back my crafty friends. Today I have a fun glittery layout tutorial to share. A little something about me is that I love taking photos. One of the things I enjoy most is taking photos of sunsets. The colours, the quiet moments, and the shimmering reflections on the water. 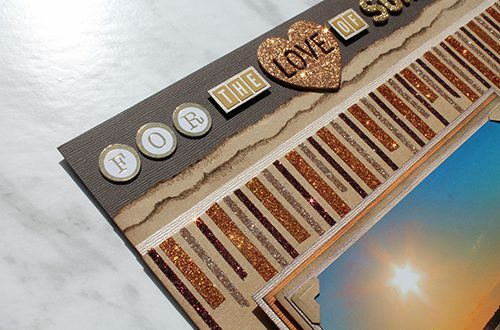 I wanted to create this layout to reflect that sparkle and love of the moment. What does that mean?? 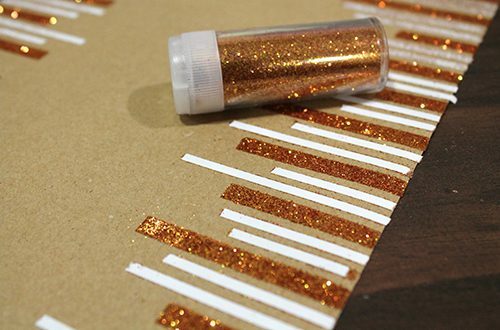 It means lots of Premium and Extreme Double-Sided Tape and GLITTER! 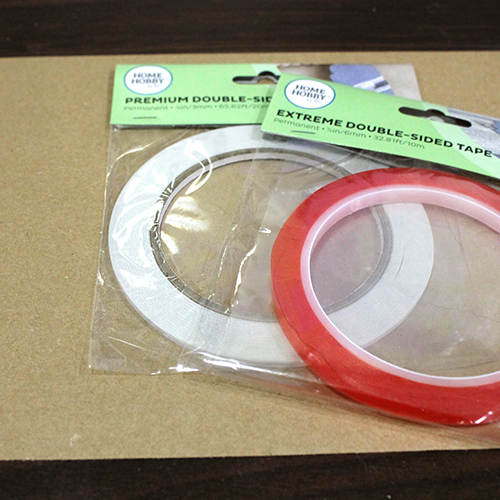 I started this layout with a piece of kraft cardstock 6×12, and my Premium Double-Sided Tape 1/8-inch and Extreme Double-Sided Tape 1/4-inch. 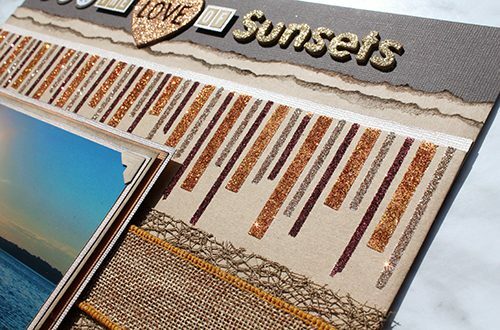 First create borders across the top and bottom of a strop of kraft cardstock. 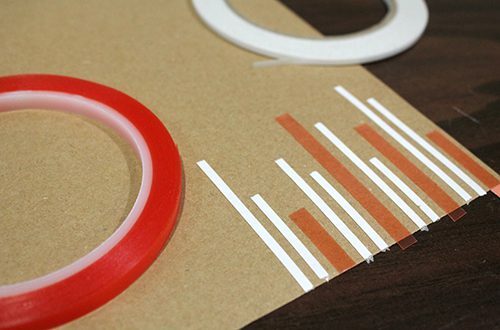 Create a design of sorts with different widths and lengths of the tapes. 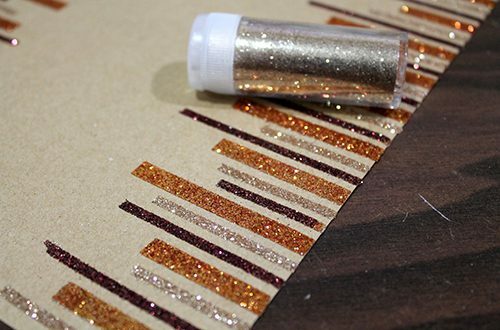 Remove the liners from the 1/4-inch Extreme Double-Sided Tape, and add the light orange glitter. 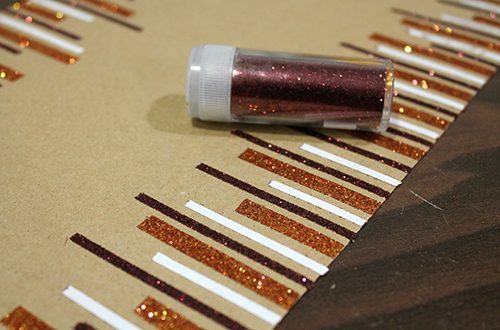 Remove the liners from some of the 1/8-inch Premium Double-Sided Tape and add the dark red glitter. Then remove the liners and add the light gold glitter. 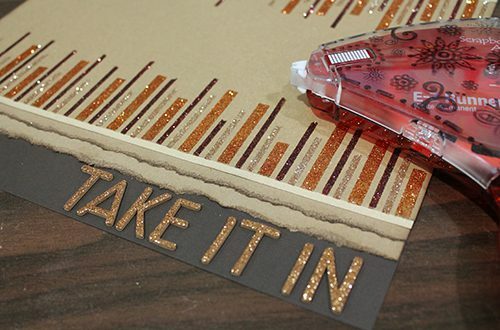 Create the layered background by adding a simple mat of cream cardstock, a double layer of torn kraft cardstock and adhere the whole thing to the dark brown cardstock using the E-Z Runner® Grand Refillable Dispenser. Next, add letter stickers to create the title. 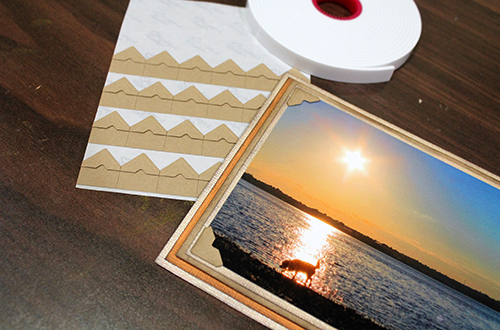 Using the E-Z Runner® Grand Refillable Dispenser, and Crafty Foam Tape, adhere the cardstock layers. I added Kraft Creative Photo Corners to the photo. Now adhere the whole photo thing to the layout using 3D Foam Squares. As always, I added the ribbon and mesh using my E-Z Runner® Ultra Strong Refillable Dispenser. 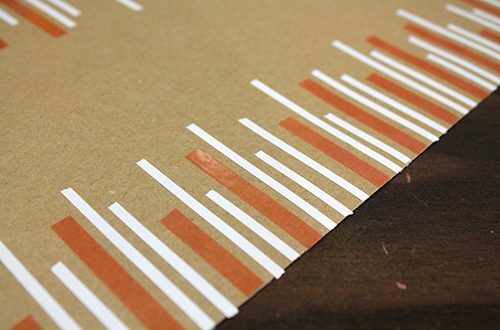 This is clear, super strong adhesive that works great with textures like this. The smaller letter stickers were matted in cream cardstock and adhered to the layout using Small 3D Foam Squares. This entry was posted in 3D Foam Squares, Crafts & Tutorials, Crafty Foam Tape, Creative Photo Corners, E-Z Runner® Dispensers, E-Z Runner® Grand, Extreme Double-Sided Tapes, HomeHobby by 3L, Permanent Adhesive, Premium Double-Sided Tapes, Scrapbook Page, Scrapbooking, Summer, Tutorial, Wear your Adhesive on the Outside and tagged 3D Foam Squares Mix White, 3D Foam Squares Regular White, 3D Foam Squares Small White, Crafty Foam Tape White, Creative Photo Corners Kraft, E-Z Runner Grand Dispenser, E-Z Runner Grand Permanent Strips Refill, E-Z Runner Grand Ultra Strong Refill, E-Z Runner Ultra Refill, E-Z Runner Ultra Refillable, Extreme Double-Sided Tape 1/4", Glitter, Premium Double-Sided Tape 1/8", Scrapbook Page, Scrapbooking, Sunset, Tracy McLennon, Tutorial, Wear Your Adhesive on the Outside. Bookmark the permalink. 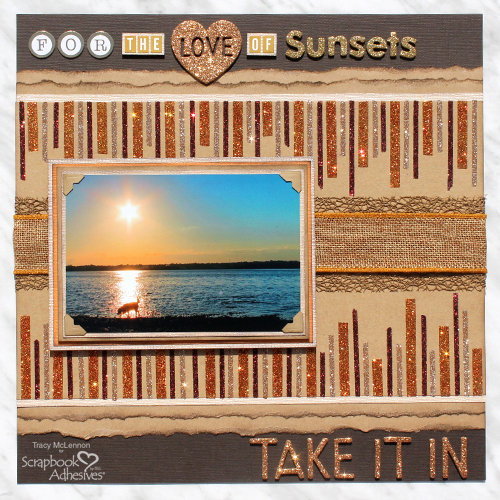 One Response to "For the Love of Sunsets Scrapbook Page"